California is one of the better states for poker players (and gamblers in general). Not so much for online poker, as that is more or less a grey area for all states that haven’t passed intrastate poker laws yet. But you can still play poker online if you don’t mind taking a slight risk. And if not you can always play in one of the 100+ poker rooms in the state, or run your own from home. California has plenty of casino games and horse racing, too. The details for all of this are covered below. This tells us that games that are percentage-based are illegal. In other words, casinos that make their money by taking a percentage of the pot, aka most brick and mortar casinos and online poker rooms, are not legal under California law. As is the case in most states, running or participating in a home poker game is fine so long as there is no door fee, rake or other type of charge. The only money that can be earned is by winning it from another player. (e) (1) As used in this section, "controlled game " means any poker or Pai Gow game, and any other game played with cards or tiles, or both, and approved by the Division of Gambling Control, and any game of chance, including any gambling device, played for currency, check, credit, or any other thing of value that is not prohibited and made unlawful by statute or local ordinance. Home poker games do not fall under controlled games, so long as no money is made. That means that you’re not running a gambling establishment, therefore have no need for licensing or to fulfill other requirements that casinos need to. Do Casinos in California Offer Poker? Absolutely. You'll find over 90 casinos in California that provide blackjack, pai gow, slots and other casino games. In regards to poker, there are over 100 poker rooms. The Commerce Casino is the largest poker driven venue in the world. It has over 300 poker tables in varying limits and size. They run the LA Poker Classic, LA Poker Open and California Poker Classic every year. You could easily make the argument that California's live poker scene rivals Nevada's. We receive a lot of questions regarding the legality of poker in California. We thought it'd be helpful to post those questions and our answers here. 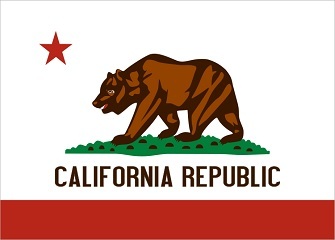 Will online poker be regulated in California? California has tried to bring regulation to the state several times over the last couple of years. The most recent attempt, Bill SB1463, would allow licenses to be issued to operators that would allow them to offer online poker on a statewide basis. This bill was known as the placeholder bill for it's length (1.5 pages), and would leave the establishing of the rules and regulations up to the California Gaming Control Commission. Given the positive attempts to legalize online poker, especially in a state needing revenue, I think it's highly likely that California legalizes online poker. I would expect them to sooner than later. It would also be great to see them work with neighboring states, such as Nevada, to increase the player pool on an intrastate / interstate level. Is there an online poker room that accepts players from California? Yes, unlike many other sites that prohibit US customers from signing up, Californians should have no problem finding a poker site. Poker sites like Bovada, Sportsbetting Poker and BetOnline all take players from the US. What other forms of regulated gambling is offered in California? In addition to the Indian casinos and state regulated card rooms, California offers the opportunity to wager on horses and play bingo. In fact, it's legal to bet on horses online. Special card rooms can also be found for Pai Gow, similar to a "bingo hall" or off track betting facility. Where can I read more about California poker laws? Here are some interesting facts about gambling in California. Today 62 of the 109 California tribes own 68 casinos including 50 Indian casinos, 15 Indian casino resorts and 3 mini-casinos. These casinos host 63,835 total slot machines. The minimum state gambling age is 21 years old. Casinos owned by American Indians can permit 18 yr olds, but most Indian casinos have set their limit to 21 to keep within their liquor licenses requirements. In California it’s illegal for casinos and card table rooms to take money based on the percentage of the pot. For example, Vegas casinos will take, say, 10% of the pot up to $5, plus money for the jackpot. They also adhere to the no flop, no drop rule. However, in LA the rake is determined by the number of players at the table and a rake is taken every hand. Traditional craps is illegal. California law doesn't allow the outcome of craps to be determined by dice, so casinos have eliminated dice entirely and are using cards to determine the numbers rolled instead. In March 2000, the voters of California passed Proposition 1A which amended the California Constitution to permit casino-style gaming on Indian land.